It is an accepted fact that Ganoderma Lucidum polysaccharides can resist tumor by the immune system. However, the "blood-brain barrier" between the brain and blood vessels can selectively prevent certain substances from entering brain cells from the blood, so whether Ganoderma lucidum polysaccharides can play an anti-brain tumor role has been a question. The answer is now revealed. A report published in the "Integrative Cancer Therapies" in September 2018 by Union Hospital Affiliated to Fujian Medical University, Fujian Institute of Neurosurgery and Fujian Agriculture and Forestry University confirmed that the polysaccharide GL-PS isolated from the Reishi Mushroom fruiting body remains unaffected by the blood-brain barrier and can play a role in inhibiting brain tumors and prolonging survival. Glioma is the most common type of brain tumor. It is caused by the abnormal proliferation of glial cells surrounding nerve cells. It may be a benign tumor with a slow growth rate (whether it causes a headache and other uncomfortable symptoms depend on the location and size of the tumor), or a malignant tumor with rapid growth. Malignant glioma has lost its original function of "nourishing, supporting and protecting nerve cells". It not only grows fast but also may spread within a short time. This kind of malignant glioma with rapid growth and spread can be said to be the most lethal brain tumor to human beings. Even if patients receive active treatment immediately after diagnosis, they can only survive for 14 months on average, less than 30% of patients can survive for more than 2 years, and only 5% of patients can survive for more than 5 years. Therefore, how to effectively strengthen the anti-cancer ability of the patient's own immune system has become the main field of medical treatment of glioblastoma in recent years. The above results indicate that an appropriate amount of Ganoderma lucidum polysaccharide can help fight brain tumors. Since the polysaccharides injected into the abdominal cavity are absorbed through the hepatic portal vein, it is metabolized by the liver and then enters the blood circulation, thereby interacting with immune cells in the blood. Therefore, the reason why the growth of rat brain tumor can be controlled, and even its survival period can be prolonged, should be related to the stimulation of immune response and enhancement of immune function. Obviously, the blood-brain barrier on the physiological structure does not shield the inhibitory effect of Ganoderma lucidum polysaccharides on brain tumors. However, the experimental results also tell us that the dose of Ganoderma lucidum polysaccharides is not the more the better, but too little does not seem to have an obvious effect. 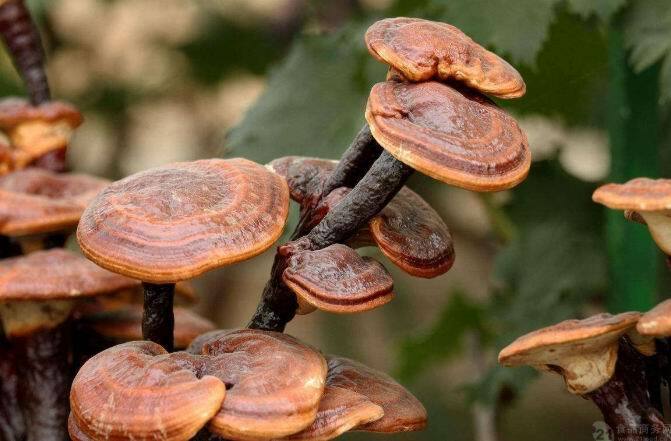 In the end, how many doses of Ganoderma lucidum polysaccharides are considered [appropriate" may depend on the type of Ganoderma lucidum polysaccharides. Moreover, whether or not oral administration can exert the same effect as intraperitoneal injection requires further research to confirm. However, the above research results have at least revealed the possibility that Lingzhi polysaccharides inhibit brain tumor growth and prolong survival. In the current situation of treatment, this report may allow us to see some opportunities for adjuvant therapy. Data Resource: Wang C, et al. Antitumor and Immunomodulatory Activities of Ganodermalucidum Polysaccharides in Glioma-Bearing Rats.Integr Cancer Ther. 2018;17(3):674-683.